When should I transplant my iris? An old saying asks, "When should I trim my bushes?" Answer: when the shears are sharp and you have time. Better still, rework the Iris beds when the Iris have been in one spot for a long time and they have not bloomed for as long as you can remember. 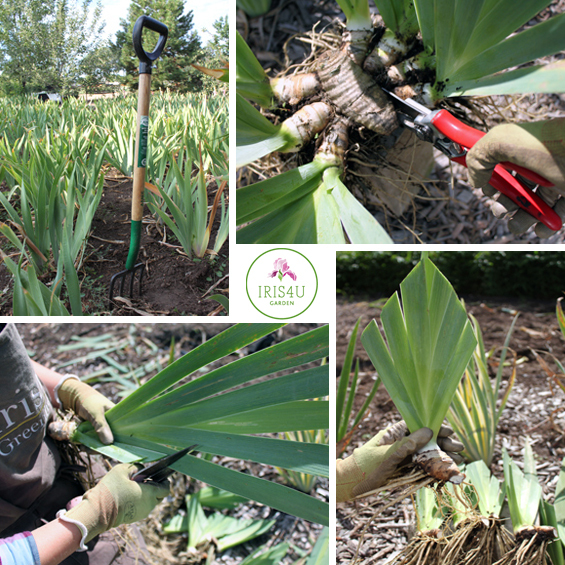 The ideal time to do this though is after they have bloomed (approx 8-10 weeks) and have gone through a rest period during which the root system will re-establish itself. This is usually after July and through August. However, if your growing season is longer than ours in Colorado, you may want to go into September. Allow the rhizomes as long a period as possible to get established before your first frost hits. The sooner you can do this the better the chance they will bloom for you the following year. Depending on the size of the new rhizome, you might have a fairly good bloom the year after transplanting. Your best blooms will occur though in the 2nd, 3rd and 4th years.